Each baby's rate of development is unique, with some babies able to smile or walk sooner or later than others. However, there are certain skill sets, known as "developmental milestones", that all babies should be able to reach within specified age ranges. 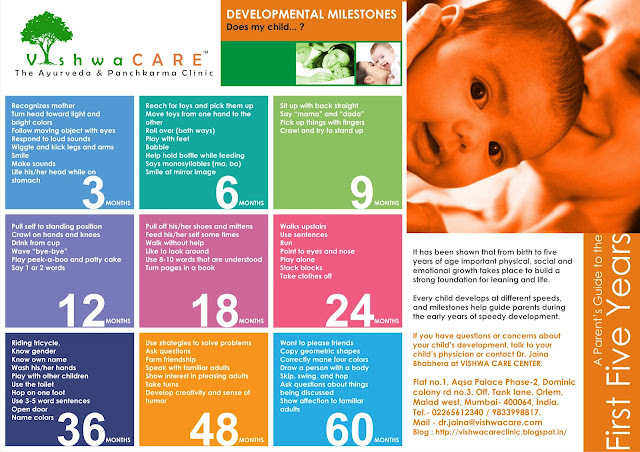 Delayed milestones occur when children have not reached these milestones by the expected time period. For example, if the normal range for learning to walk is between 9 and 15 months, and a 20-month-old child has still not begun walking, this would be considered a developmental delay. What are the risk factors for developmental delay? Environmental risks: Exposure to harmful agents either before or after birth; or poor maternal nutrition or infections like Measles, HIV passed from mother to baby ; or exposure to toxins like lead, drugs, etc. Risk factors have a cumulative impact upon development. As the number of risk factors increases, a child is put at greater risk for delayed milestones. What are the warning signs of delayed milestones? 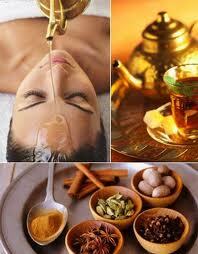 Abhyanga (massage) - with Chandanbalalakshadi tailam, Balashwagandha tailam, etc. Shiropichu- with Almond oil, Brahmi tailam, etc. Shirodhara- with Brahmi tailam, Vacha tailam, etc. Nasya- with Panchendriya vardhan tailam, Anu tailam, etc. Baby should be given hygienic, healthy, light and nutritious food instead of giving outside, heavy, oily and spicy food. Thus, delayed milestones like delayed speech, improper walking , excessive salivation etc. can be cured with Ayurveda. 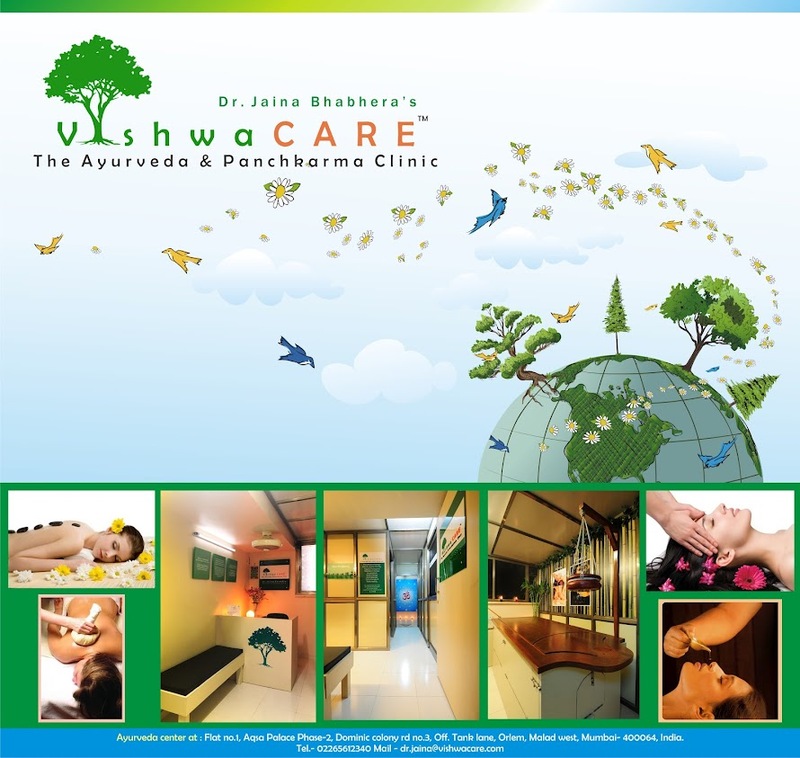 VishwaCARE is specialized in Child Care and cures all such health problems. DO YOU HAVE ANY CLINIC AT DELHI.